Are you ready to make the best whiteboard animation video? Well, let’s see. Do you want to have a tool that has an educational value, helps you convert more leads into customers and improves your SEO? Then yes, you’re ready! A whiteboard animation video is a type of explainer video that mixes great storytelling (it creates a story in front of your audience’s eyes), high-quality animation and educational value; and they’re highly engaging. Originally, it was made by an artist drawing on a real whiteboard, and recorded by a camera. Right now, whiteboard videos have become fully digital, but they still keep the essence of the classic process. This evolution is great because now a whiteboard animation production looks more clean and you can add 2D character animation and special effects. But there’s a catch. Even though whiteboard videos are a great tool, you must make them correctly: a poorly done whiteboard video will backfire on you, leading to poor audience engagement. If your whiteboard video isn’t right, you won’t get the results you want, and this will be reflected in your video metrics and marketing objectives. To avoid this, you must know the rules of the whiteboard video production process, or even better: find a high-quality Whiteboard video production company. If you want your video to be great and you want to avoid the typical mistakes throughout whiteboard video production, let me give you some tips! First of all, there are three basic elements that make up a whiteboard video. The first one is the drawing hand. You see, in the ancient, prehistoric times of the original whiteboard animation, everything was drawn by hand! Ok, maybe not prehistoric, but you get my point. The world has evolved (thankfully!) and now the animation is created digitally, but still, a whiteboard animation is not the same without the presence of a drawing hand. The drawing hand is essential! It can even be an active part of your story, becoming a character on its own. Ok, you were probably expecting that. A whiteboard video is, obviously, not a whiteboard video without having a white background to draw on. Of course, you can get creative and change it, if that change is relevant to your story, but be careful! Changing can erase (pun intended) the whole meaning of the whiteboard video style. 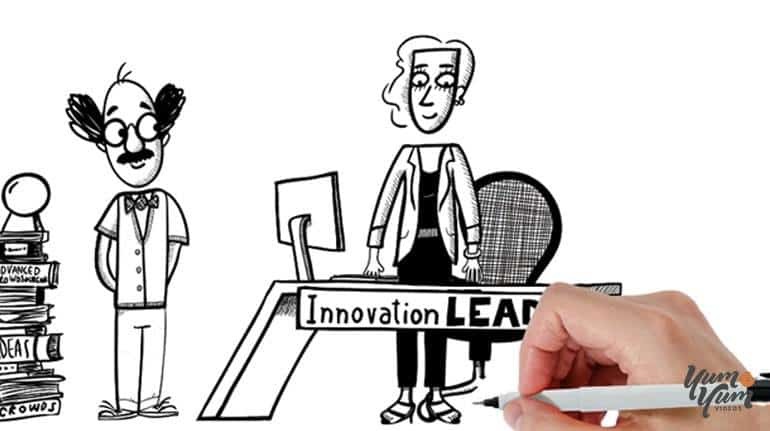 The third classic element of a whiteboard animation video is an interconnected drawing, which will give continuity to your story. Also, this will create the feeling of anticipation in your viewers, and spark their interest. How? Well, the story is going to be created in front of their eyes! So they will be always wondering what comes next. These three basic elements are what helps your audience recognize the style of a whiteboard video. The traditional style! You’re, of course, allowed (and encouraged!) to add some specific elements, to make the whiteboard style more like your brand’s style; but even then you should keep it as traditional as you can. #5. … but not that traditional! Well, now that you know the rules, let’s break them! You can stray a little from that white background with black marker drawings… it’s time to add some hints of color! Not too much, anyway. Remember balance: it’s not about making a full color video (if you want full color, you can use another type of explainer video, like a cartoon animation). This is about accentuating some parts of your messages with a little bit of color. Of course, you get bonus points if you choose your brand color! Add it to some key points to make your brand present during the video. Remember your buyer Personas? They’re the representation of your ideal customers, and they’ve got an important place on your whiteboard video! Introduce them as animated characters on your video, as representations of your audience. They contribute to the continuity of your video, because you’ll build your story around them. Animated characters make your story move forward, and make it entertaining and fun to watch! It’s so important to do this, because emotion is what will engage your audience, and catch their attention. By appealing with their emotions, you’ll make them identify with your message. If you strike the right cord, they will remember your video, and be interested in your brand. Whiteboard videos are perfect for attracting and retaining your audience’s attention. This is why they make great educational videos, because people learn things better when they’re interested, and having fun! This explainer video style has a great potential for education, so use that in your favor. Because, what could be more educational than scribbling on a whiteboard? A great story comes with a great script. It’s the core of any animated marketing video. In the specific case of whiteboard animations, you’ve got your three classic visual characteristics (white background, black drawing and hand), but they can’t create a great video on their own! This is where the power of storytelling comes in. As human beings and audience members, we love stories. There’s nothing more engaging for your audience than to feel enchanted by your story, and to achieve this, you must have a clear goal when writing a script. This goal should be focusing on your potential customers and their needs. They’ve got answers and problems that need to be solved, and that’s the most important thing for you, when writing a script for a whiteboard video. Actually, we’ve created a free e-book, just for you, with the information you’ll need about writing the best explainer video script. 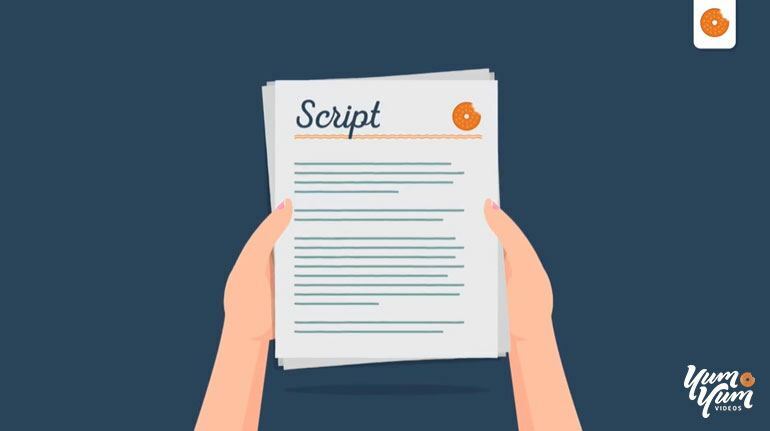 Go take a look, to learn about the script writing process in depth! But, right now, what you have to remember is that your prospects have come to you looking for answers, and your goal is to be helpful to them. Provide your prospects with the answers they need. #10. Read your script out loud! So, now you have a great script, focused on your audience’s needs. Now, when you’ve finished your script, how can you really know that it’s ready? Read it out loud! No, you will not look like a crazy person; yes, it will help you a lot! This is because you want to have a script that sounds natural, so you must read it out loud to be sure that your choice of voice inflections, speed of speech, and emphasis on some words, sound as natural as possible. Overall, all these tips can be summed up into one, the most important one! 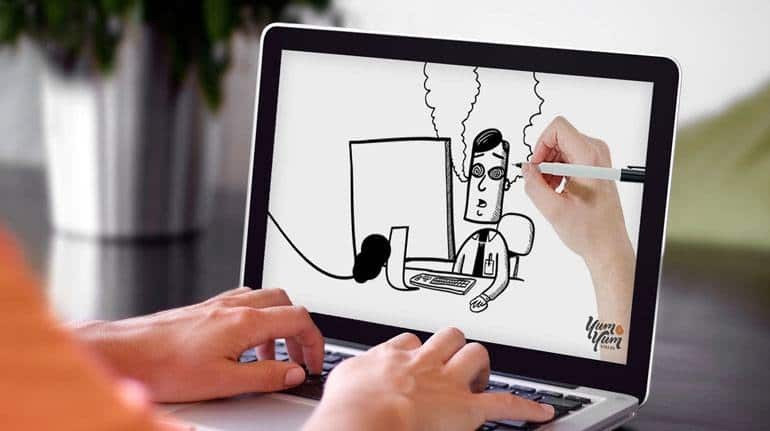 Your animated whiteboard video, as all of your online marketing content, must always be the best quality. If your marketing video is not of the highest quality, the credibility of your brand will suffer. So, what you’re looking for is expertise. What you need is a team that is capable of turning your complex concepts into the best custom whiteboard video! Look for a whiteboard video production company that has a solid portfolio and good references. Do your research to choose the best company. There are great video production companies out there, with different prices and different styles, so choose the one that fits your needs the best. Now you know all the elements you need to make the perfect custom whiteboard video. Whiteboard explainer videos are the best way to simplify complex concepts: they’re highly educational, interesting and effective. You can start from that to create a world of possibilities. You can be more or less creative, depending on your brand’s interests and what you’re looking for: add characters and use storytelling, emotion and education to make your video memorable. And remember: if you want a high-quality whiteboard animation video, that will help your brand get the results they want, hire a professional, specialized in whiteboard animation. So, that’s it! Are you ready to have the best whiteboard explainer video for your business? Let’s chat!